Precious snowflakes at the University of Michigan called police after they spotted “Trump 2016” chalk markings on campus. The national epidemic of college students being triggered by pro-Donald Trump chalk messages has continued anew, with students at the University of Michigan calling the police to complain after chalkings popped up there as well. 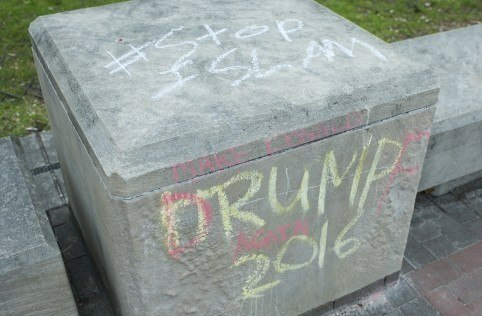 According to The Michigan Daily, messages reading “#stop Islam” and “Trump 2016” were found on campus Wednesday. “The statements, which were largely washed off by Thursday, prompted students to call University police…” they report. “This is so reflective of our student campus and the depths of racism and the things that students of color have to endure and that the administration is continuously silent on,” Michigan student Banen Al-Sheemary told the Daily. In the end, the students just washed them off themselves.